Cracka Auctions are different to other auctions - but relax they’re not complicated. Take a few minutes familiarising yourself with the information provided below and you’ll be a Cracka Wines Auction expert in no time. Note that we also have a "How It Works" area that is accessible from all auction pages which includes video tutorials and a comprehensive overview of everything auction related. Basically, the price starts falling in a Cracka Wines Auction when the countdown for the auction 'start' time reaches zero. Each auction runs for an hour, is for a specific product, and will have a pre-determined number of Cases of that product allocated to it. Each auction will also have a specific Starting Price, which will generally be the Recommended Retail Price (RRP). When the auction clock starts, the price starts falling! You can purchase a case at any time during an auction for the "Current bottle price" being displayed - by clicking on the "Accept Price" button. You can also make an offer (place a bid) at any time before the auction 'start' time or during an auction by clicking on the "Make An Offer" button. Auctions end when all of the available Cases have been purchased, or when the "Last Chance" period concludes 60mins after the start of each auction. To participate in our Falling Price Auctions, we require you to set up an account. You can register now − it’s fast, easy and free. What do I need to be able to join? Additionally, you will need to supply a valid credit card if you want to make an offer in our Falling Price Auctions. Keep your account safe by not sharing your sign in details or storing them in an un-secured location. Notify us immediately if you suspect your account has been tampered with. Make sure your credit card details are up to date and that your credit card details are valid. Familiarise yourself with our website’s terms and conditions. MyCracka is the place to go for everything relating to your Cracka AUCTIONS membership account. Within the MyCracka section of the website you can update some of your account details, including items like your auction 'Display Name', password and payment details. To update your address details, please contact us or give us a call on 1300 272 252. If you've already registered, you can sign in to your Auction Buyers account. If you haven’t previously registered, select the Register link to create your Auction Buyers account. To protect your identity and privacy, you will be asked for your password when updating certain account details. Click to Sign in and then select the “Recover my forgotten password” link. Having problems getting registered or signing in to your Auction Buyers account? Contact us and we’ll sort things out for you. Firstly, you can immerse yourself in all of the action of the live auction and you can click on the "Accept Price" button when the time is right - taking your chances and basing your decision on the current price, the number of cases remaining, and your best guess of when to get in before other Cracka users grab the last remaining cases from under you! Alternatively - and particularly if you can’t be there for the live auction - you can place a bid prior to the start of, or during a live auction at a price which you are happy to pay and a price at which you hope there will be some cases left for you to win. The strategy you choose is entirely up to you! 1. ACCEPT (THE CURRENT) PRICE − this is the best and most exciting way to buy in Cracka Wines’ Auctions. You can watch the live auction and see the price reducing whilst at the same time watch other buyers purchase the available cases at different prices. Buying this way lets you try to anticipate the best time to get in before everything is sold. However, be careful not to wait too long as there could be a group of sealed bids waiting to win all of the remaining products at any time! To Accept the current Price, just wait until the current price of an item reduces to your preferred amount and then click on the "Accept Price" button. When you click on the "Accept Price" button you will be shown the total cost of the case together with the delivery costs. You will then be asked to confirm that you are happy to pay the total amount. Once payment is confirmed, the wine is yours! Remember, if you take too long to confirm your payment or to submit your delivery address, etc, then you can still miss out - so get in sooner rather than later! Psssst... here's a tip... and another HUGE bonus of watching the live auctions through to the very end; if someone's payment fails due to a - heaven forbid! - stolen Credit Card, then the cases they had secured will be dropped back into the auction for whoever is lucky enough to be watching. Just think, if you're watching you might pick a random win like this for less than what everyone else has paid. Sweet hey! Serious note: unfortunately, if you've been outbid then we cannot simply re-instate your bid when situations like these occur, sorry. Note that if you’re not registered or even signed in then your purchase will take a little longer and other buyers could buy all of the remaining cases whilst you are in the middle of processing your membership, submitting your delivery details, or signing in. To avoid the risk of missing out, be sure to register and then pre-load your delivery and payment details within the MyCracka section of the website so you can quickly confirm these during the auction to lock in that case! Remember, the wine is not yours until your payment has been confirmed. Good luck! 2. MAKING AN OFFER - this is most useful for people who can’t watch the live auction. Making an offer (or bidding) in Cracka Wines' auctions is a lot like bidding on other auctions - but there’s a big difference! With traditional auctions you place a bid that is higher than the previous bid, is visible to all other participants, and will be the winning bid should no other person bid higher. With Cracka Wines' auctions you make your offer at a price you would like to pay in the hope that it is slightly more than what other members are willing to pay for the available cases – but no one else can see the value of your offer. Your offer is successful if there are Cases available when the 'Current Price' reduces to the value of your offer. You can submit your offers at any time in the 7 days prior to or during the live auction. It’s important to note that early offers rank higher than identical offers of the same value. This means that if 10 people offer the same amount for the last remaining case, then the earliest bidder will be the one who wins – so it’s always best to get your bids in early.  Cracka Wine Auctions are generally scheduled to start every hour from 1pm to 8pm AEST/AEDT, and run for one hour or until all cases in the auction are sold. The starting price is the price of the product before the live auction begins and the price starts to fall. Typically the price of all wines start falling from their RRP. The Current Price is the price of the product being auctioned at a particular point of time during the live auction process. The price of auction items in Cracka WInes' auctions reduces throughout the 'live' auction process, so the longer you wait the cheaper it gets. Beware; if you wait too long you might just miss out! A reserve price is the lowest price at which the seller is willing to sell a product. Cracka encourages all sellers to list their products without a reserve price so that you get to set the price that you want to pay. The main difference with the Cracka auction process is that the product for sale will have a starting price - usually the Recommended Retail Price (RRP) - which continually reduces throughout the live auction until all cases are sold or until the reserve price is reached. Each price reduction step is determined by the “Current Price” of the product at the time. The higher the product’s current price then the larger the price reduction steps. Other buyers will see that you have made an offer, but the dollar value of your offer will always be ‘sealed’ when viewed by all other buyers - the value of your offer will, however, be visible to you when you are signed in. This is part of what makes Cracka Wines’ Auctions fun. It’s a game of skill as you try to guess what the other buyers have offered or what they are willing to pay as you watch the price fall. There is a 15% administration fee that is applied to the winning bid price. The Buyer's fee is GST inclusive. The buyer's fee is calculated on the value of your offer and is only charged if your offer becomes a winning offer or you complete a Buy Now transaction during the auction. Who can make an offer (place a bid)? Only registered Cracka AUCTIONS members can make offers (place bids) on auctions. Register now! How do I place make an offer/bid? Simply click the "MAKE AN OFFER" button, select the price you want to pay using the up/down arrow buttons, then submit the rest of your details to complete the submission. No, there is no cost to make offers in our auctions. Your credit card will only be charged if you win. Please note that if you use PayPal for bidding then PayPal will secure your total bid value as a 'pending' payment - where a bid is unsuccessful then this 'pending' payment is released by PayPal 30mins after the auction in which the bid was placed has closed. What buyer's fees do you charge? Yes, our Terms & Conditions stipulate that once an offer/bid is placed it is binding. If the offer is successful, you will be charged for the products. Can I increase an offer/bid? Note also that if you want to increase the number of cases your bid applies to you may also have to increase the value of your bid so that your bid price is higher than other bidders trying to secure the remaining cases. Can I decrease an offer/bid? No. Because your offer can cause another member’s offer to be out-bid, then you are committed to this offer and subsequent purchase if the bid is successful. Can I cancel an offer/bid? No. Because your offer can cause another member’s offer to be out-bid, then you are committed to this offer and subsequent purchase if the bid is successful. Please refer to "Wine Auctions / Daily Deals - Your Obligations" on our Website Terms & Conditions page. I bid on multiple cases; but only won some of them, why? Your offer/bid becomes a winning offer/bid when the current price reduces to your offer's dollar value. If your offer is for multiple cases you will win all of those cases if the number of cases remaining is equal to or greater than the number of cases you bid for. If the number of cases remaining is less than the number of cases you bid for then you can only win the remaining number of cases. We will email you every time you are outbid on one of the cases you have bid for so that you will always know how many cases you are still in the running to win. Can I set a high and a low offer/bid value? No. This type of bidding is not compatible with our unique reverse auction system. This is because at any time during the auction another player can use the "Buy Now" option to secure the last remaining case(s). Do you have a proxy bidding system? When does an offer/bid win? Your offer will win the product the instant the current price of an auction item reduces to the value of your offer. How do I know if my offer/bid wins? You will get a confirmation email if your offer is successful. I’ve been Outbid, what does this mean? It means that more people have offered higher amounts for the remaining auction cases. If cases remain then you can increase your offer or place a new offer to say in the game. How do I tell if I’ve been outbid? We will send you an email the instant your offer is out-bid. I have made an offer, but now want to “ACCEPT PRICE”; what can I do? Just click the “ACCEPT PRICE” button and process your purchase - this will cancel your offer/bid. Note that if your offer was for multiple cases then you must purchase the same (or more) number of cases you originally bid for. Why can't I place a lower offer/bid price? The system ensures that the bidding tool will only accept the lowest price that will ensure your offer is 'in-play'. Any offer lower than the lowest value accepted by the bidding tool would immediately be 'out-bid', so this system saves you from inadvertently making 'out-bid' offers! Because Cracka Wines auctions work differently to other auctions, other members offers remain sealed so that they have a chance of securing the product for the price that they want to pay. If their offers were not sealed then members watching the live auction would be able to purchase the product just before the price reduces to match the offer value. Which isn’t fair, really! Note that you do not have to do anything to place a sealed bid as your bids will alwaysappear sealed to all other website users, but will be visible to you if you are 'Signed In'. When does an auction close? Auctions usually run for one hour, but will also end when all available Cases have been purchased. A Display Name is the unique name used to identify you within Cracka Wines’ Auctions. It is seen by other Cracka Wines users when you are active (buying or bidding) within auctions. You can add/update your display name within the MyCracka section of the website. Why does Cracka AUCTIONS need my credit card when making an offer? We require a credit card to prevent fraudulent auction activity which may adversely affect other Cracka AUCTIONS customers. You are able to update your credit card details whenever you bid or Buy Now during an auction on Cracka AUCTIONS. You can also update your card details at any time in your Cracka Auctions account. All you need to do is login and click Update Payment. Absolutely! Cracka AUCTIONS uses the eWay Payment Gateway for its online credit card transactions. eWay processes online credit card transactions for thousands of Australian merchants, providing a safe and secure means of collecting payments via the Internet. Your complete credit card number cannot be viewed by Cracka Wines or any outside party. eWay at no time touches your funds; all monies are directly transferred from your credit card to the merchant account held by Cracka Wine. Your credit card will be charged as soon as you complete a Buy Now transaction or when your bid becomes a winning bid. Unfortunately, if your credit card payment fails your winning bid will be cancelled. If there are cases left at the end of the auction, we will contact you to process the payment over the phone. Please note that if your credit card fails, this will also cancel any bids that you have placed on future auctions and you will need to place your bids again. We’d be sad to see you go but if you really want to close your account then please send us a note via our Contact Us page and we will process this upsetting (for us!) request for you.